At least once in your lifetime you might have got a thought of hacking someone’s WiFi password for whatever reason it might be. Maybe you don’t have data at all or want to download a huge file and don’t have enough data. Well, WiFi hacking doesn’t need any professional training or any professional console to do it. Your small little android can do it if you know the right technique and this article is all about the different techniques that an android user can use to hack any WiFi network.get ready and don’t you worry I will show you how you can steal data from your neighborhood by hacking their WiFi. 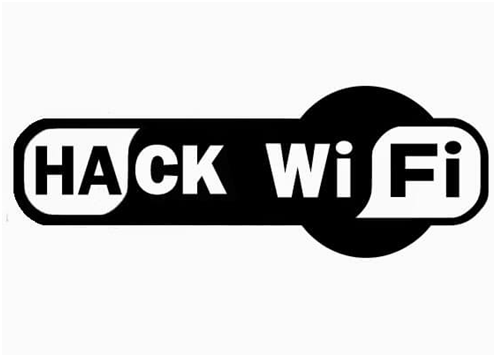 This guide will help you to Hack WiFi Password On Android easily! Hacking a WiFi is not as easy as scoring a goal in football or hitting a home-run in baseball though it can be done on an android device.you must avoid even the minute mistakes to avoid failure in cracking any network. Let’s get started with the very basic knowledge that you should have. The first and the foremost thing is to have a android device. Rooted devices works best with hacking WiFi passwords but non-rooted device also works. And the last thing needed is time and dedication. Without these two, any work cannot be done successfully. You might fail in first few attempts but trust me you will succeed if you work properly with dedication. The basic security type which can be hacked easily is the WEP security type. This was broadly used for a very long time by the users but the security developers got to know that it was being hacked without putting much effort and they later updated it with the newer and better version. It is barely used now but some users are still using this. The next version after WEP was WPA security type. It was launched in 2003. This was developed to get rid of being hacked but it didn’t get any better with this as well and the hacker managed to hack this with not much efforts. The latest version which is running now is WPS security tpe. This is the toughest and trickiest one to hack. The hackers are still not able to hack WPS until in the case of a professional hacker. Difference between a rooted and a non-rooted device? Rooted device gives you full access to your device. Now you might be thinking that you already have full access to your device without rooting itself but let me tell you half of the phone is not in your control. All the major things happening in your phone is controlled by the brand until you root it and gain full access to your device. You may read: How to root any Android in 2 minutes ? Again the same note. Non-rooted devices do not give full access to the users. All the major tasks on the user’s device is handled and taken by the device and brand itself. Unfortunate thing for all the WiFi hacker is that this I the most used security type and hacking this wouldn’t be easy but not impossible at the same time. This sums it up and now we can start with our WiFi hacking process but the first question which would pop up in your mind is should your device be rooted or not? Well, let me tell you that rooted device is always the first preference for hackers and it is always easy to perform hacking on a rooted device compared to non-rooted. Infact most of the hacking apps are compatible only on rooted devices. So, root your device if possible and you don’t have to worry even if it’s not as in here on our website, we provide content which is useful for every reader. Now to start with the hacking process, I have categorized it for rooted and non-rooted devices so you can check accordingly. How to hack WiFi on a rooted device? I will show you two different methods in which you can become a WiFi hacker with just a rooted mobile and a little bit of knowledge. Make sure your device is not a nexus, htc desire or some other type which has a different chip-set. Try it in any basic, not so expensive and rooted device. The presence of Cyanogen Rom would be a plus point as it can be used for bcmon app to work efficiently. 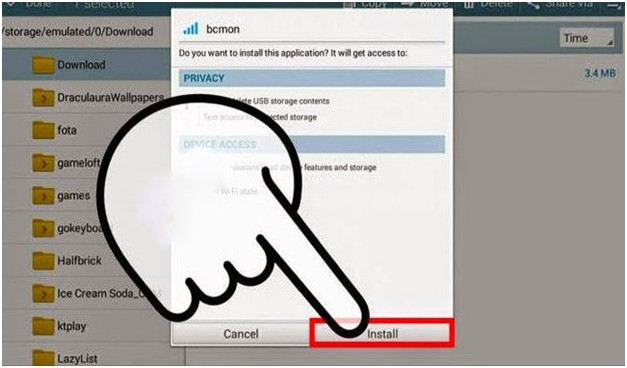 Download and install a wifi hacker app called bcmon as it helps in pin cracking. Download another app called REAVER app and install it. The reaver app helps in cracking the WPA2 passphrase. Now open the reaver app and do an on screen confirmation which would be of not using it for illegal purpose. Now select the APN you want to hack and continue. The bcmon app might open again in some cases for re verification. Check your settings for any security issues and start your hacking by tapping start attack It might take 2-10 hours of time depending upon the security level and to successfully hack it. Second method is also totally based on a wifi hacker app i.e. WPS Connect. This app is an advanced app and was available for only rooted devices before but now is also available for non-rooted devices. With full ease you can hack any wifi network. This app mostly works with WPS as mentioned in the name itself. Not only hacking,this app even tells you if your wifi is secure or not so that you can save it from being hacked. All you need to have is a wifi chipset that supports monitor mode and a rooted android device and this app will do the rest of the cracking for you. This app is totally safe and is not much of issue to have it installed in your device. It is one of the best and simple way of cracking a wifi password. This is a simple and powerful tool widely used by millions of users. 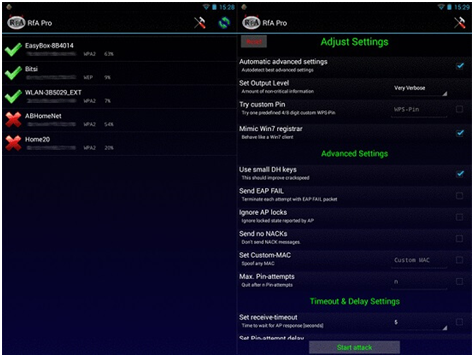 This app calculates WEP or WPA network type keys. It also has the automatic nearby wifi scanning feature and it can also be used to take care of your wifi analysis which seems like a all in one package. This app is a very useful app for wifi hacking as it you can check all the available hosts, firewalls etc,. This app is used widely on other platforms like windows, linux etc,. aswell. The already compiled binary versions hve been shared by the developers of this app. The app has simple UI which is easily understandable and does not need any special guidance. This app was initially developed to test the security and integrity of wifi networks but any app can be misused by a misuser and so is the case with this app. This app has Bruteforce and Dictionary Attack which is what is the answer for you wifi hacking question. You must download and install Androdumper app. Now open the app and hit refresh button on the top of the screen. Now select try connects option from the pop-up menu. This app will find the wifi password of the nearby APN within minutes. Now before you try this and get disappointed let me tell you that this app works great for low security level types like WEP and WPA and doesn’t work with WPS in some cases as it is the highly secured type. Try your luck and you might crack the password of any of your neighbors if you are lucky enough. You won’t need any detailed explanation to use these apps as they are simple and the UI is easily understandable. This app was designed to check if the APN’s is vulnerable or a victim of any malicious attacks or not but as the developers of the app started putting in different new features in the app and slowly added the wifi hacking feature aswell. The app won’t need root access if the android version is 5.0 or more but would require root access if its not. The best part is that it is available on playstore so you don’t have to search for it all through the internet to download it. The app uses multiple algorithms and cracks WiFi password in less than a minute. This app being one of the most famous app for wifi hacking really does wonders when it comes to hacking a wifi network. It is one of the most reliable and secure wifi hacker app which has got millions of users worldwide. Now you will get the password without doing much as this app doesn’t hack the WiFi. It just shares it with its users from its directory and gives you the password in the most proper and legal way. It automatically identifies nearby networks and it can also be used to share a wifi hotspot or use one. You won’t have to worry with the language as it is available in 19 different languages which includes the worldwide used language English. If you are still unsure about hacking a wifi with a non-rooted device. What if I tell you that you just have to tap on the network and the app will connect your device to it? Yes this app works the same way. All you have to do is open the app and select any of the nearby network and the apps smart interface will automatically connect your device to the network. With this app you can also safeguard your wifi and avoid the risk of hackers. You can also share the passwords and this app is totally legal and is also available on playstore. My suggestion would be to hit the WEP or WPA type first if any in your area as the security of these two types are not as strong as the WPS which is the latest. So if you find any of the WEP or WPA type APN, your work would reduce to half but its not that the WPS is impossible to crack as I already said. Its just that it might take you a little more time and effort than the other ones but you will surely be able to crack it. Avoid the use of nexus devices or any other devices which have their own specially designed processors or chip-sets as you might not get the results you are looking for. With the list coming to the end, these are the best possible ways and best apps that would help you in hacking a WiFi network. The working of these apps and techniques varies from device to device and the one that worked for your friend may not be the one that would work for you as well. So try and use these apps properly and I assure you that you will succeed in cracking the password of any of the WiFi network in your neighborhood.